NEW PRICE! 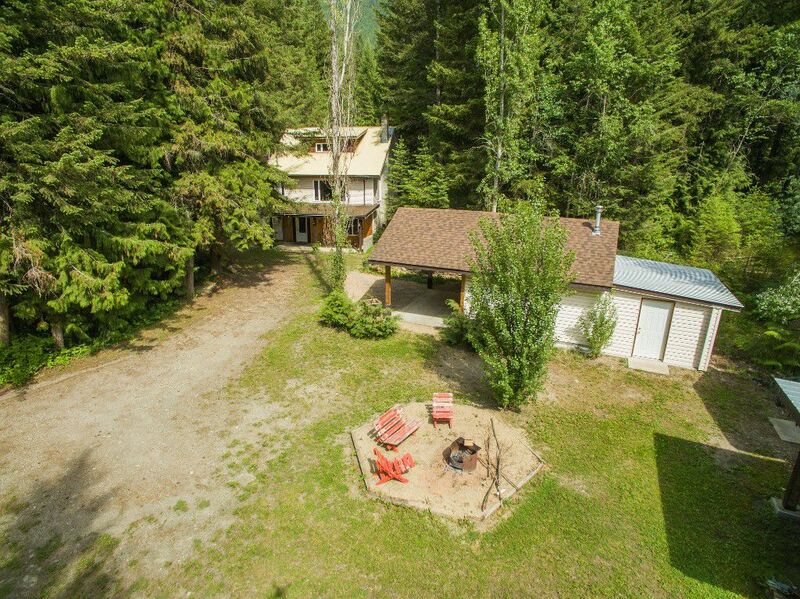 2.6 Acres offers perfect privacy with 2725 SqFt home setback from the road with a private tree lined driveway. Home is in good condition, offers quick possession with 3 Bedrms & Bathrm on the main, Loft Bedrm on the upper level & finished basement with large foyer, Bathrm, Family Rm & Rec Rm. Rec Rm area has it's own side entrance. Hardwood floors, dual heat with natural gas furnace and electric baseboard heat. Includes a fully insulated & heated detached workshop, Greenhouse, Insulated shed & carport structure. Previously had horses on property & there's lots of room for your animals here. Located off the Trans Canada Hwy #1 in Tappen with good exposure but on a dead end frontage road right next door to the elementary school. Very close to the Shuswap Lake for swimming & boating & also White Lake for fishing; You'll love the location, just 10 minutes from Salmon Arm. Great opportunity to own your own acreage, Non Zoned area, No building permits required gives you options! See more photos, lot plans & info here at www.BIGRob.ca, then call Rob McKibbon to arrange your viewing! Toll free at 1-866-463-2791 or local at 250-804-6288. SOLD@BIGRob.ca, Thanks for your interest! Supplements - Title Search - Disclosure - Lot Info: CLICK HERE!